Vitamin D or the sunshine vitamin as it is popularly known is one of the most crucial vitamins needed by the our body for smooth functioning. It is produced in the body when the sun’s ultra violet rays come in contact with your skin. The most important function of Vitamin D is that it regulates the amount of calcium and phosphorous in the body – both are elements that are vital for strong bones, teeth and also to keep your muscles healthy. While benefits of vitamin D for bone health is well established according to a latest study published in the journal BMJ. Adequate intake of Vitamin D could benefit liver cancer patients too. The best source of this vital vitamin is getting a dose of sunshine, however there are many other ways in which you can get the vitamin through your diet too. Vitamin D deficiency is common condition faced by many people globally. Here are some common signs that may tell if you are lacking the sunshine vitamin. 1. Low immunity : If you are falling sick too often you may be deficient in vitamin D. Lack of vitamin D increases risk of illness or infections. 2. Perpetually fatigued: If you have started to stay fatigued and tired more regularly you might be needing vitamin D supplements to up your energy levels. 4. Poor wound healing: If you take too long to recuperate and recover from an injury, surgery or infection. You may be suffering from poor vitamin D levels. There are several sources of getting Vitamin D, apart from supplements too. 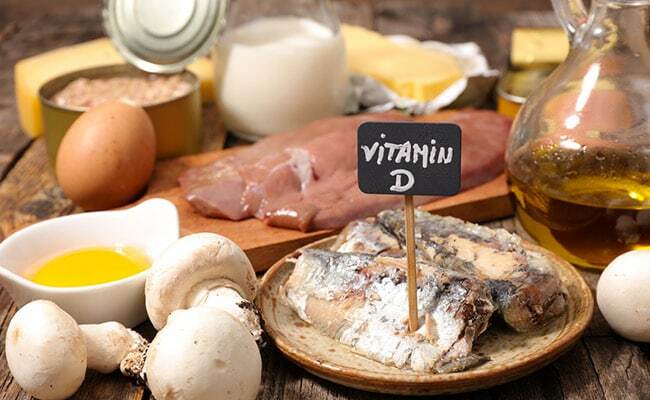 Here are some dietary sources of Vitamin D you can rely on. 1. Mushrooms: Some studies suggest that including mushrooms in your diet four times a week may shoot up your Vitamin D levels. Mushrooms can naturally produce Vitamin D when exposed to sunlight. 2. Soy milk: Soy milk is a plant-based milk produced by soaking dry soybeans and grinding them with water. While it contains the same amount of protein as regular cow’s milk it boasts of high Vitamin D, Vitamin C and iron. 3. Fatty fish: All kinds of fish are high on Vitamin D. Typically oily or fatty fish contain more Vitamin D than less oily fish. Try salmon, mackerel, eel or tuna. 4. Eggs: Since the vitamin D in an egg comes from its yolk, it’s important to use the whole egg–not just the whites. Next articleInclude These Superb Proteins In Your Diet For Weight Loss: No, It’s Not Chicken Or Eggs!